My husband and I are the foster parents to our adopted daughter's newborn sister. We fell in love with her from the day we got her from the hospital at two days old. Her goals have now changed to adoption and we cannot express how blessed we are that she will someday be an official member of our family. Her sister is three and the little one is now five months. 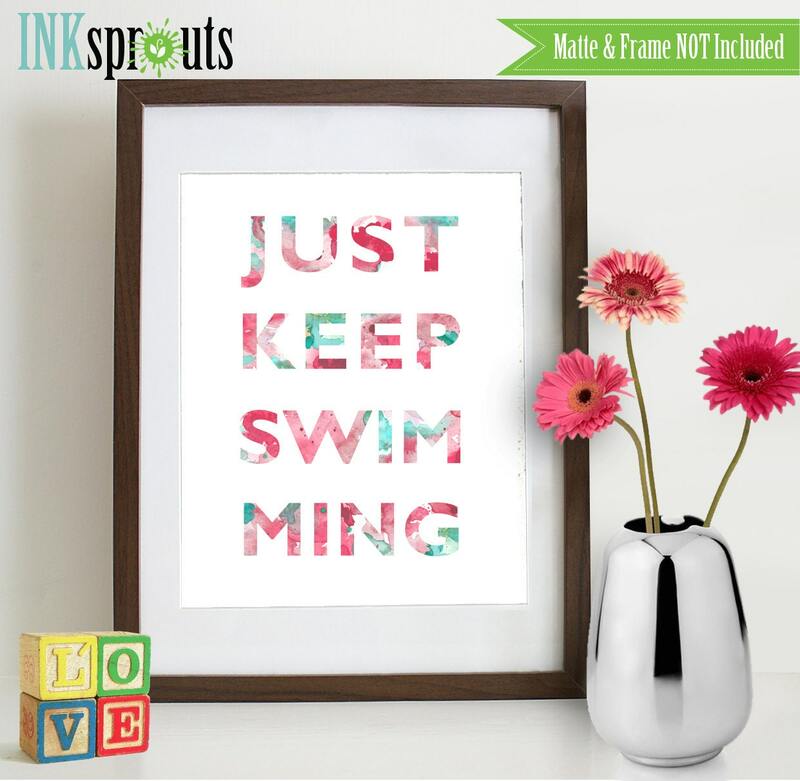 Our motto throughout the journey has been "Just Keep Swimming" so this is the perfect addition to her room.